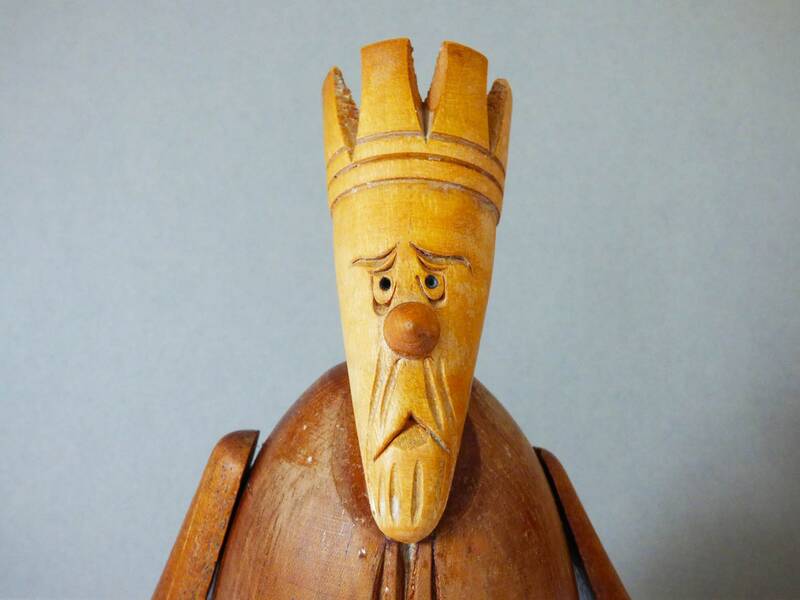 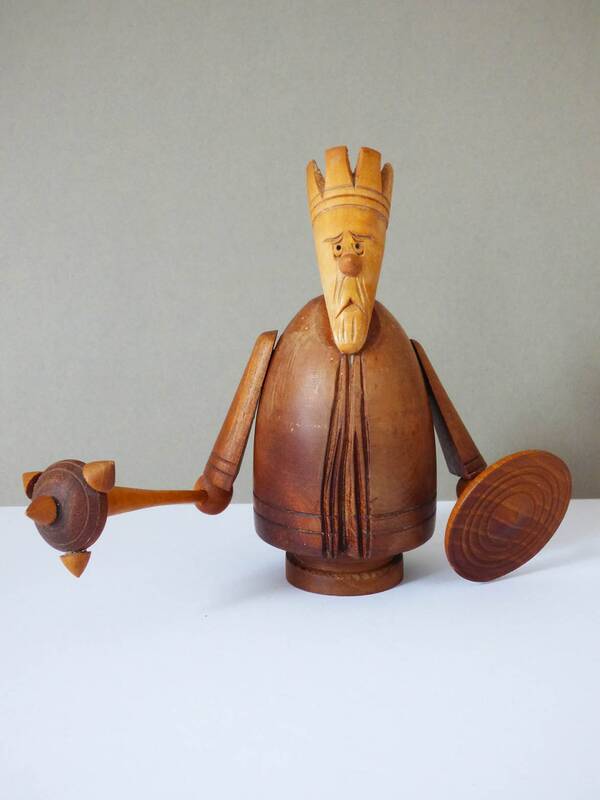 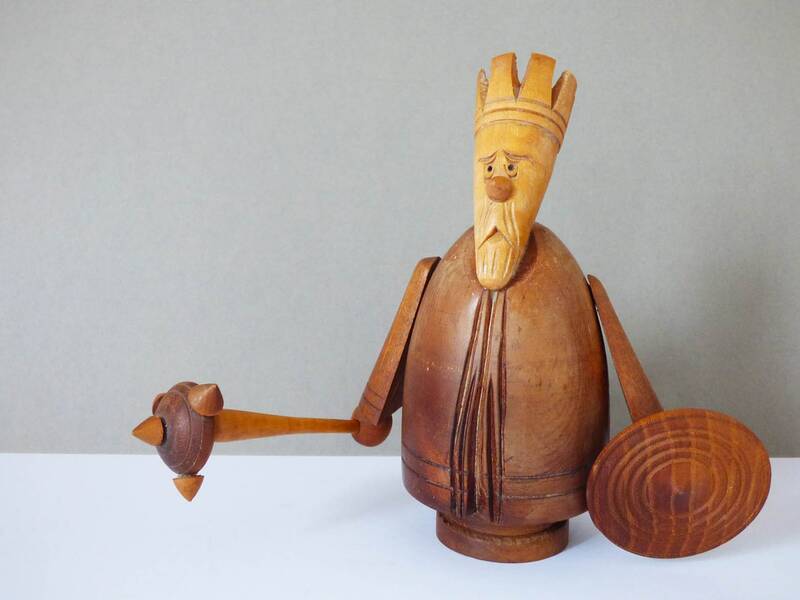 I absolutely love this vintage wooden carving by Creations of Ireland, I have never come across one of these before, and whether it is a carving of an ancient king of Ireland or an angry warrior, he certainly has a lot of personality. 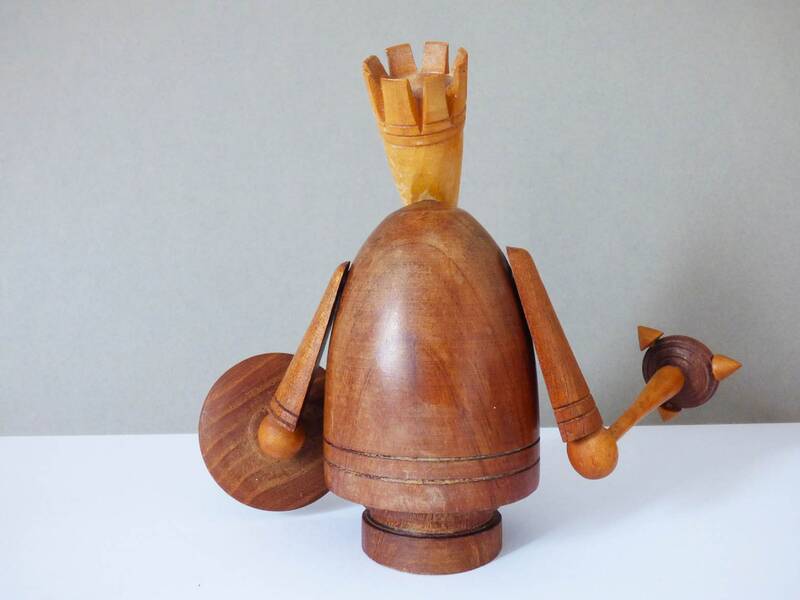 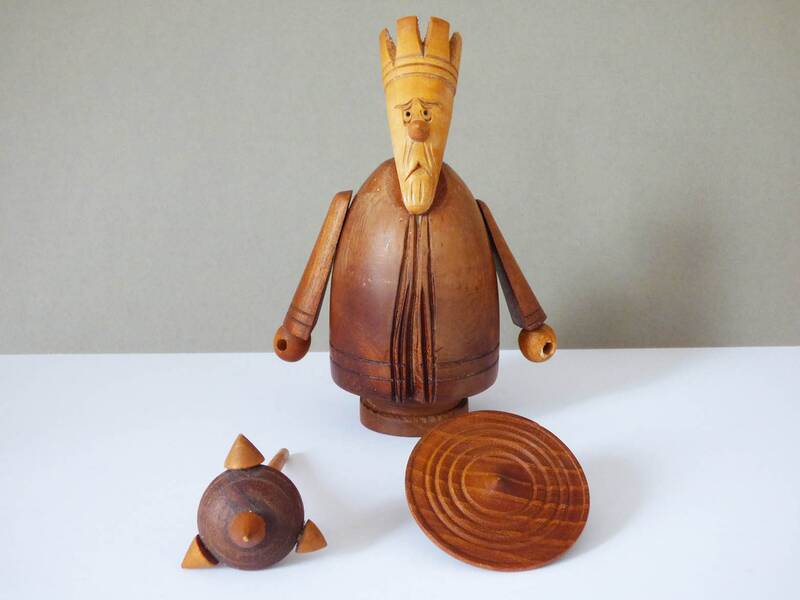 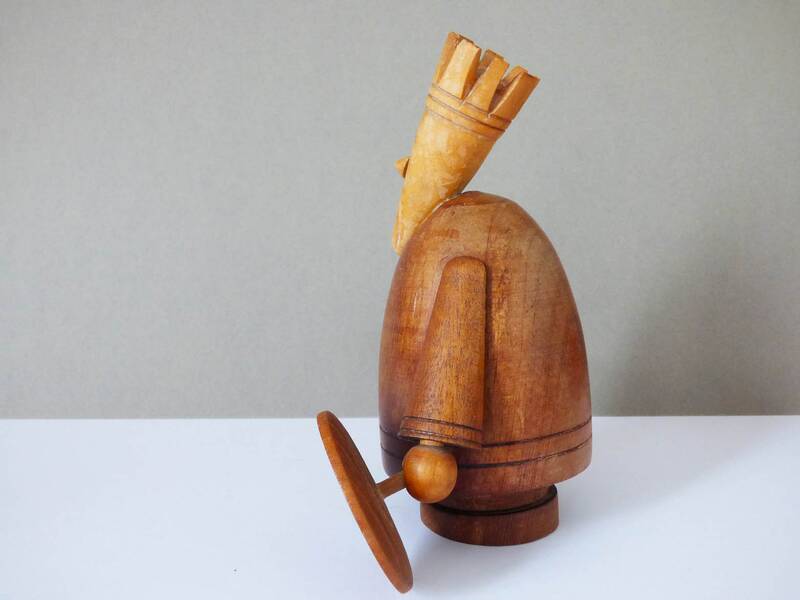 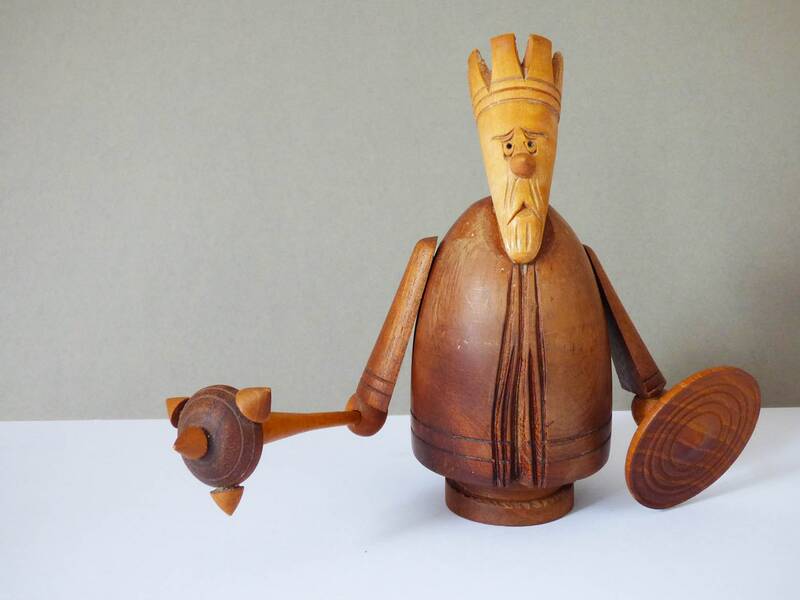 The carving stands 15.5 cm tall, the head is carved from a single piece of wood, the body another, the arms are movable, and appear to be connected by metal wires, the simple ball shaped hands have holes, to which fits, a shield and weapon. 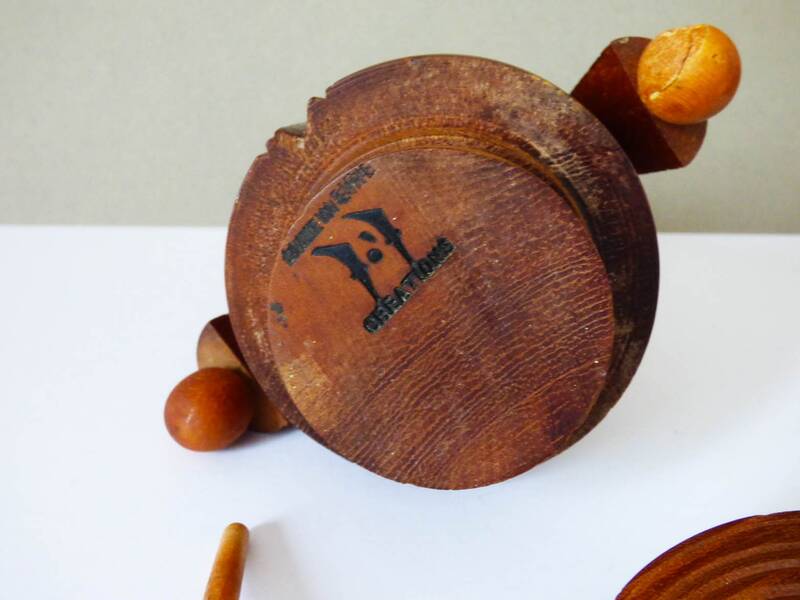 To the base, the piece is marked "Made in Eire Creations." 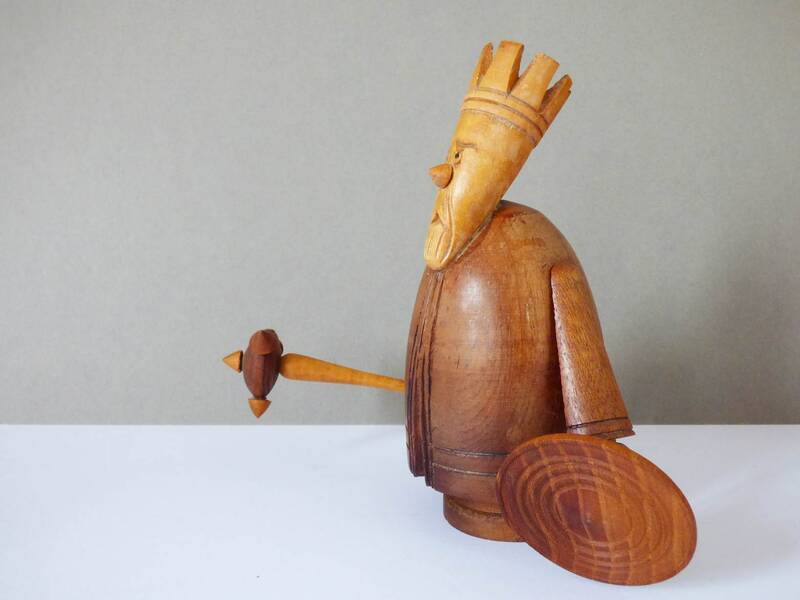 The condition of this piece is good although there are signs of age to the piece, and the varnish has worn away in places, I will leave it to the new owner to decide whether to give this piece a light rub down, and either a re-varnish or wax. 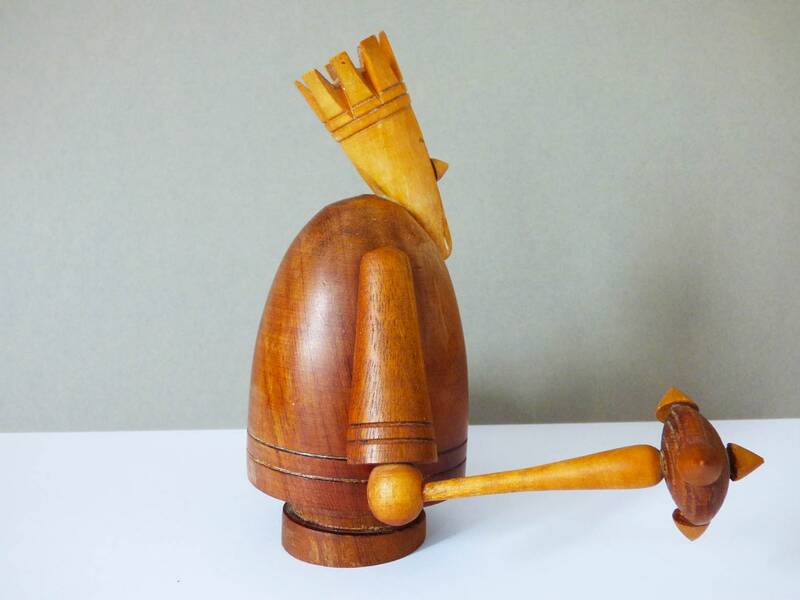 (the photos show the condition well so please study them"
With his shield and weapon, the piece measures 18 cm wide x 15.5 cm tall.